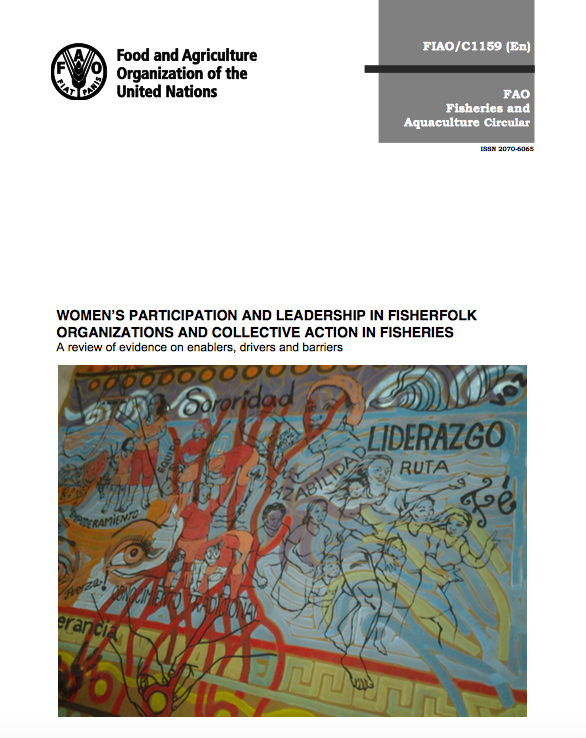 The increased recognition of the multiplicity of roles played by women in, and their crucial contributions to, the fisheries sector exists in stark contrast with the low presence of women in fisherfolk organizations around the globe, and the lack of access to decision-making positions in many formal fisheries-related organizations. This paper summarizes analyses of a global literature review on women in fisherfolk organizations. The aim of the study was to identify positive examples and lessons learned by pointing to the drivers – as well as the enablers and entities identified in the literature – that have a key role in fostering increased women’s participation and leadership in collective action in fisheries. State institutions, social movements and civil society organizations, development and conservation projects, religious movements, academia, endogenous mobilization, charismatic individuals and coincidences have been identified as the key enablers of women’s participation in collective action. Dwindling resources and the need to secure management roles, modernization, the allocation of fishing rights, economic changes, family welfare and women’s rights, are the main drivers identified by the authors as catalysers of women’s engagement in collective action. Finally, the paper identifies some of the barriers faced by women to gain equal access to organizations and decision-making. Although more research on the topic is required, there seems to be consensus on the positive effects for women arising from their engagement in modes of collective action.